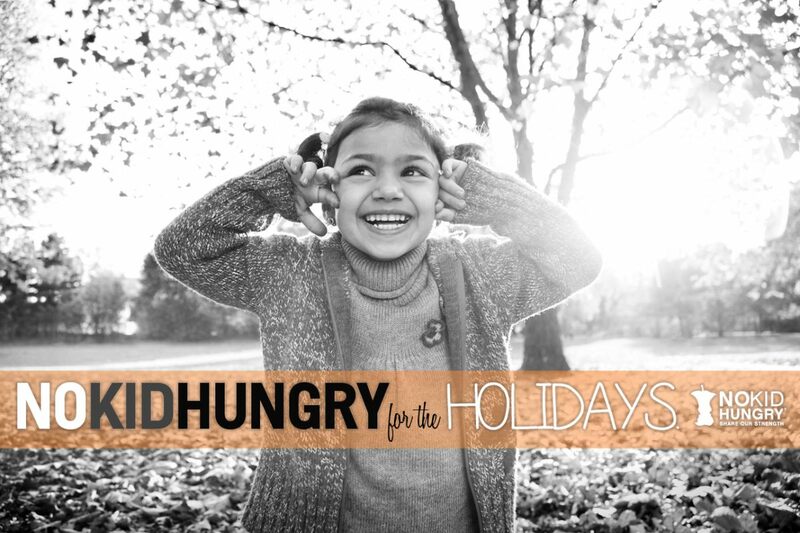 No kid should be hungry during the holidays… or any days. This is a friendly reminder to let you know that every little bit makes a BIG difference. Every $10 we give can provide up to 100 meals for a hungry kid! I call that a no-brainer. Click here to go directly to NoKidHungry.org. 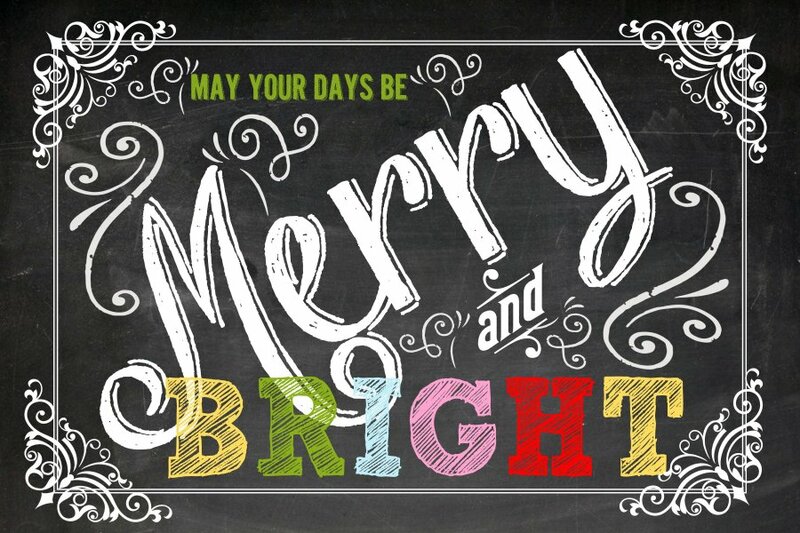 Hope you all are enjoying this holiday season! This just In! 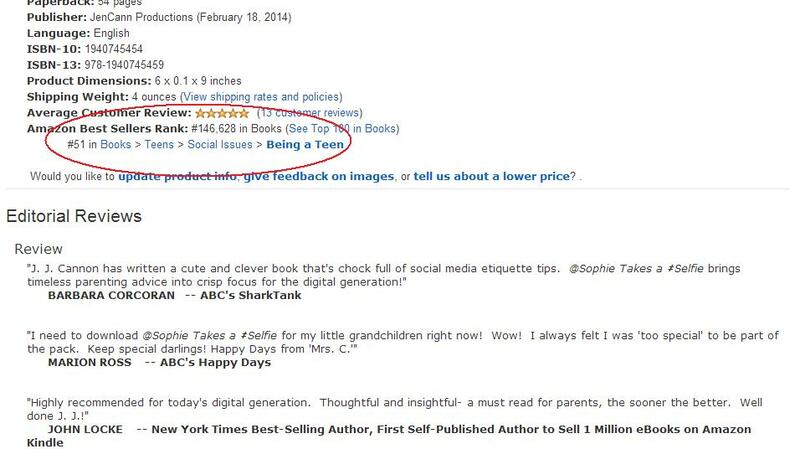 Waking up to see that “Sophie” is a best seller in an Amazon Teen category makes my day. Sending thanks to YOU, my tens of readers who have made this happen. Haven’t ordered your copy yet? Please know that although Amazon says it “usually ships in 3 – 5 weeks”, this POD (Print On Demand) book SHIPS IN DAYS! You can also order from BN.com where they note that it “usually ships in 24 hours”. The feedback being received from educators and schools around the country is overwhelmingly positive and growing! 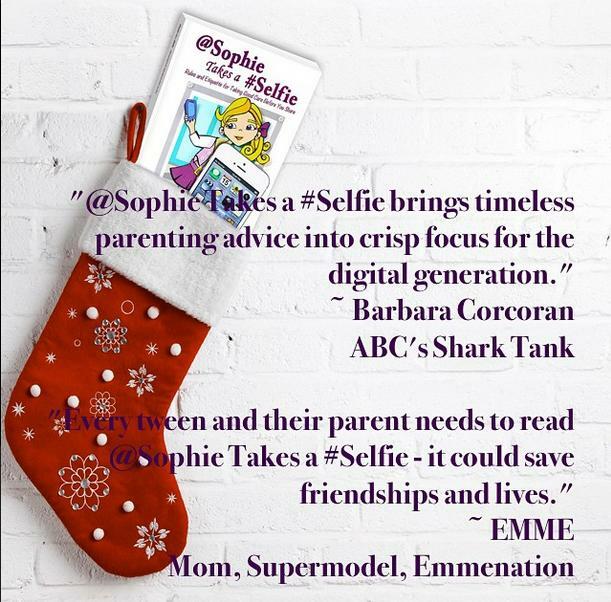 If your school would like to include “@Sophie Takes a #Selfie” in their library, please have your librarian contact me and I would be happy to send a copy.